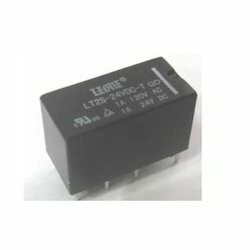 Our range of products include leone automotive relays ld70, leone automotive relays ld40, leone automotive relays la30, leone power relays dp30fc, leone pcb power relays 20a and leone power relays dp40fc. 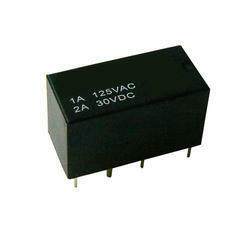 Auto Motive Relays LD70 are especially designed for Automobile products. Auto Relays are used to switch multiple things at the same time using one output. A single output connected to multiple relays will allow you to open continuity and/or close continuity simultaneously. The major applications are Car Alarm system, Center door lock System, Flashers, Anti-locking brake systems etc. A typical vehicle can have 20 A Relays or more. 1. Miniature size 12.1x17.2x16.2mm on SAM-1P for smaller occupying space. 2. Easy P.C. Board design available as the location of contact terminal separated from each contact. 3. Distinctive twin relay structure on SAM-2P providing high performance for the use of automotive. 4. Both washable and flux proofed types available. 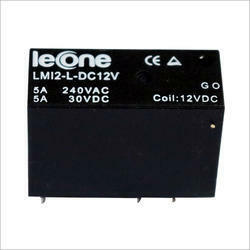 Leone Automotive Relays SCA20 are specially designed for Automobile products. Auto Relays are used to switch multiple things at the same time using one output. A single output connected to multiple relays will allow you to open continuity and/or close continuity simultaneously. The major applications are Car Alarm system, Center door lock System, Flashers, Anti-locking brake systems etc. 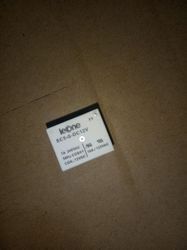 A typical vehicle can have 20 A Relays or more. Miniature size 12.1x17.2x16.2mm on SAM-1P for smaller occupying space. Easy P.C. Board design available as the location of contact terminal separated from each contact. Distinctive twin relay structure on SAM-2P providing high performance for the use of automotive. Both washable and flux proofed types available. 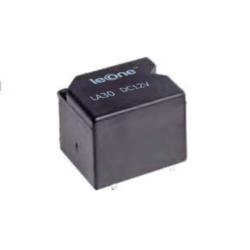 Leone Automotive Relays LA30 are specially designed for Automobile products. Auto Relays are used to switch multiple things at the same time using one output. A single output connected to multiple relays will allow you to open continuity and/or close continuity simultaneously. The major applications are Car Alarm system, Center door lock System, Flashers, Anti-locking brake systems etc. A typical vehicle can have 20 A Relays or more. 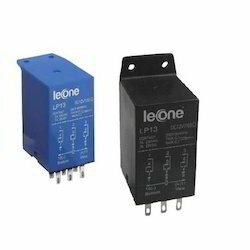 We offer Leone Power Relays DP30FC to our clients. 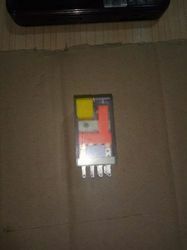 We offer our clients with Leone PCB Power Relays 1A which are highly appreciated for their high quality and durability. 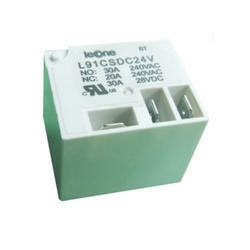 We offer Leone Power Relays DP40FC to our clients. 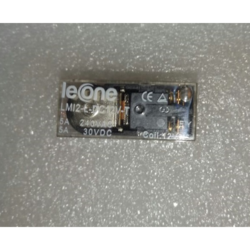 We offer our clients with Leone PCB Power Relays L93H which are highly appreciated for their high quality and durability. Contact Resistance 100 M Omega Max. We offer our clients with Industrial Leone PCB Power Relays which are highly appreciated for their high quality and durability. We offer our clients with Leone PCB Power Relays SC5ECO which are highly appreciated for their high quality and durability. 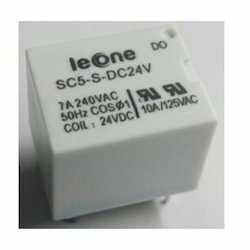 We offer our clients with Leone PCB Power Relays SC5FAgwhich are highly appreciated for their high quality and durability. 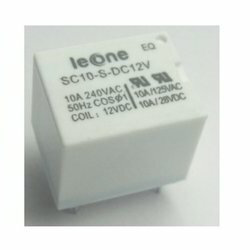 We offer our clients with Leone PCB Power Relays SC10 which are highly appreciated for their high quality and durability. 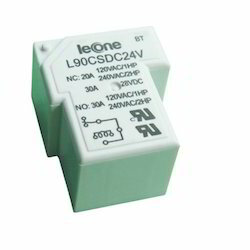 We offer Leone Power Relays DP80FC to our clients. 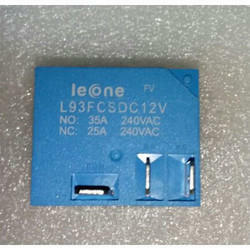 We offer Leone Power Relays DP63FC to our clients. 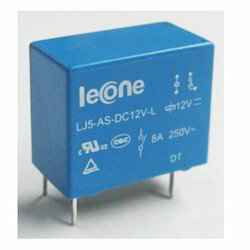 We offer Leone Power Relays 40 A to our clients. 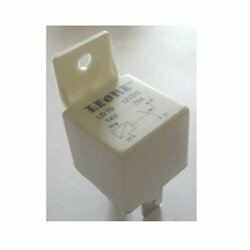 We offer our clients with Leone Power Relays which are highly appreciated for their high quality and durability. Insulation Resistance 100 M Omega Min. We offer our clients with Leone PCB Power Relays SC15 which are highly appreciated for their high quality and durability. 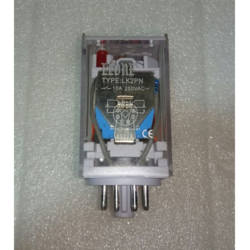 We offer our clients with Electrical Leone PCB Power Relays which are highly appreciated for their high quality and durability. 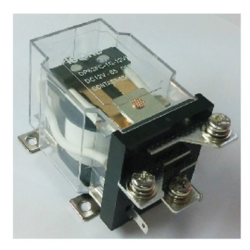 We offer our clients with PCB Power Relays which are highly appreciated for their high quality and durability. Insulation Resistance 1000 M Omega Min. Operate/Release Time 20ms / 10ms Max. 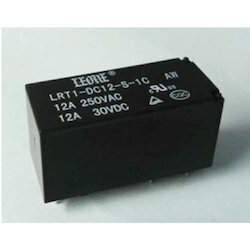 We offer our clients with Leone PCB Power Relays LI20 which are highly appreciated for their high quality and durability. 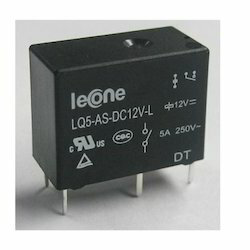 We offer our clients with Leone PCB Power Relays LCJ which are highly appreciated for their high quality and durability. 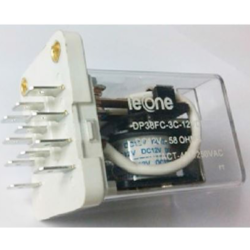 We offer our clients with Leone PCB Power Relays LQ5 which are highly appreciated for their high quality and durability. Operate / Release Time D:- 10ms/4ms , L:-15ms/4ms Max. 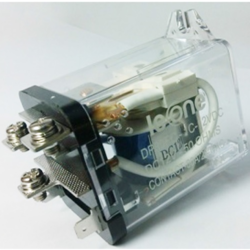 We offer our clients with Leone PCB Power Relays LJ5 which are highly appreciated for their high quality and durability. 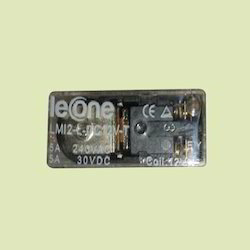 We offer our clients with Leone PCB Relay which are highly appreciated for their high quality and durability. 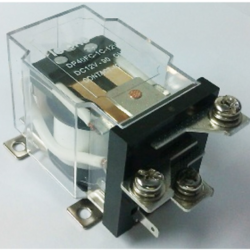 We offer our clients with PCB Power Relays SC5AG which are highly appreciated for their high quality and durability. 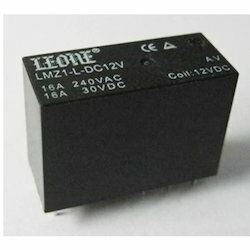 Leone Telecom Relay LST1 are relatively small and designed to switch signal-level loads in communications systems, test gear, thermostats, instrumentation, consumer electronics and industrial equipment. Some switch maximum currents up to 2 amps, but they usually switch only milliamps in the application. 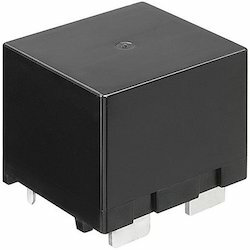 These relays typically have relatively low operate and release times compared to other general purpose relays. Most are sealed, and some offer surface mount terminals. Operate Time 6 m Sec. Max. Release Time 4 m Sec. Max. 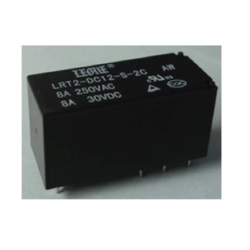 Telecom Relays LT2S are relatively small and designed to switch signal-level loads in communications systems, test gear, thermostats, instrumentation, consumer electronics and industrial equipment. Some switch maximum currents up to 2 amps, but they usually switch only milliamps in the application. 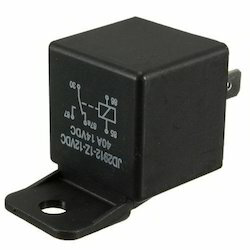 These relays typically have relatively low operate and release times compared to other general purpose relays. Most are sealed, and some offer surface mount terminals. 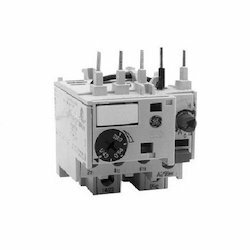 Industrial Relays are used for Safety applications, applications recurring long life, heavy loads, hazardous areas and difficult environments, Latch and Pneumatic timers etc. Industrial relays have important features that provide safe, more reliable design of control systems. 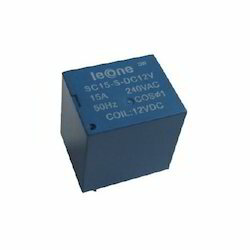 Leone Industrial Relays 13 gm are used for Safety applications, applications recurring long life, heavy loads, hazardous areas and difficult environments, Latch and Pneumatic timers etc. Industrial relays have important features that provide safe, a more reliable design of control systems. 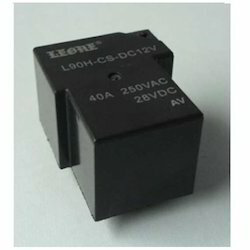 Leone Industrial Relays 1000 VAC are used for Safety applications, applications recurring long life, heavy loads, hazardous areas and difficult environments, Latch and Pneumatic timers etc. Industrial relays have important features that provide safe, a more reliable design of control systems. 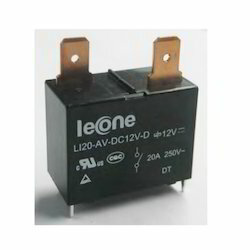 Leone Industrial Relays 240VAC are used for Safety applications, applications recurring long life, heavy loads, hazardous areas and difficult environments, Latch and Pneumatic timers etc. Industrial relays have important features that provide safe, a more reliable design of control systems. 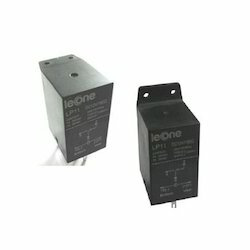 Leone Industrial Relays10A are used for Safety applications, applications recurring long life, heavy loads, hazardous areas and difficult environments, Latch and Pneumatic timers etc. Industrial relays have important features that provide safe, a more reliable design of control systems. 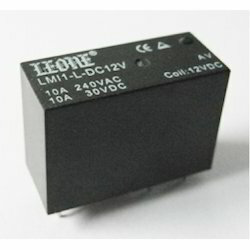 Leone Industrial Relays12A are used for Safety applications, applications recurring long life, heavy loads, hazardous areas and difficult environments, Latch and Pneumatic timers etc. Industrial relays have important features that provide safe, a more reliable design of control systems. Contact Resistance 50 M Omega Max. 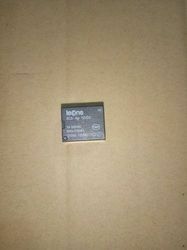 We are offering a wide range of Leone Industrial Relays 16A. It are used for Safety applications, applications recurring long life, heavy loads, hazardous areas and difficult environments, Latch and Pneumatic timers etc. Industrial relays have important features that provide safe, a more reliable design of control systems. 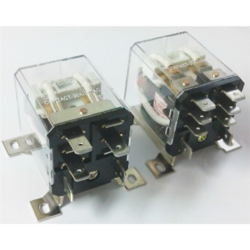 Telecom Relays LSC3 are also known as Signal Relays are relatively small and designed to switch signal-level loads in communications systems, test gear, thermostats, instrumentation, consumer electronics and industrial equipment. Some switch maximum currents up to 2 amps, but they usually switch only milliamps in application. 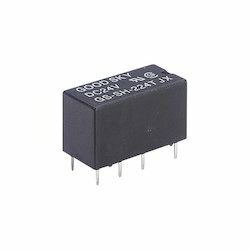 These relays typically have relatively low operate and release times compared to other general purpose relays. Most are sealed, and some offer surface mount terminals. 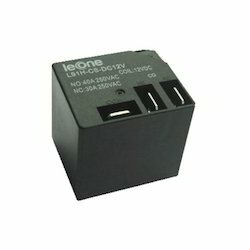 Looking for Leone Industrial Relays ?